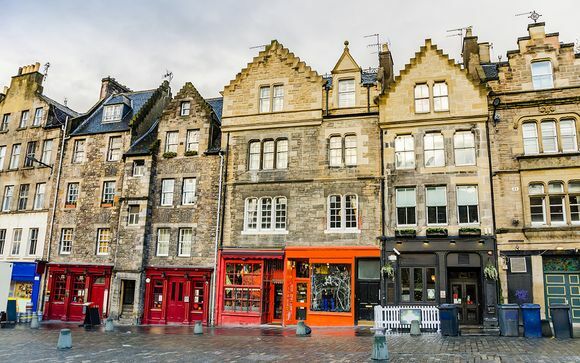 Whether you choose to stay near cute Stockbridge with its great restaurants, cafes, gourmet food shops, boutiques and bars, or you choose stay on George Square dating back to 1766 - you will delight in grand old Edinburgh homes with beautiful modern luxuries. 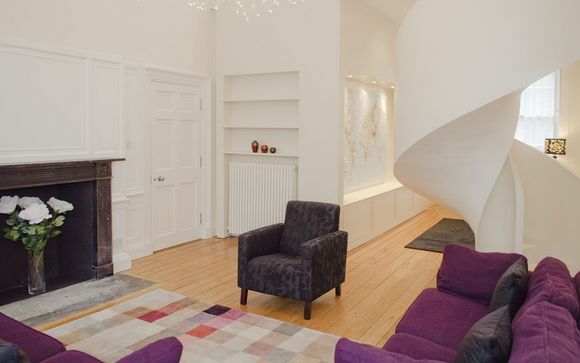 What's not to love about a handsome Georgian Terrace or a converted Chapel? This apartment has the wow factor! Set in a very handsome Georgian Terrace on the northern edge of Edinburgh’s New Town, it is grand in scale and has been described by a previous guest as a 'mini stately home'. 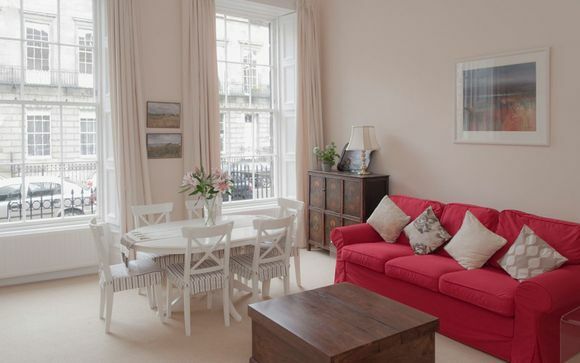 Less than a mile from the north of the City Centre; here you can enjoy delightful Stockbridge, with its excellent shopping including interesting shops, bars and restaurants, and still be close the city centre. 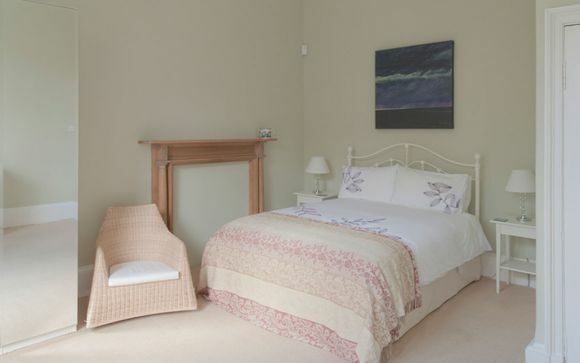 The apartment is spacious and light with two huge windows looking out on to Carlton Street. The relaxing colour theme and mix of antique and modern furniture work very well and a glistening chandelier tops adds glamour. And it boasts superb reviews on Tripadvisor! It features:- 1 double bedroom, contemporary bathroom, elegant living room and full-equipped kitchen. 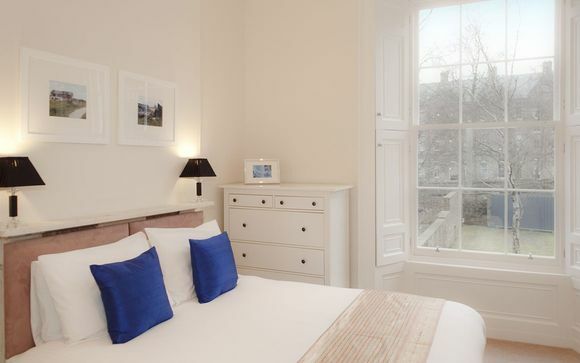 This Grade A listed house is located within the World Heritage Site on George Square and has a fascinating history. It was built in 1766 by the King’s Commissioner in Scotland. In its time it has been a fashionable drawing room during the Scottish Enlightenment, a house and a church, latterly the Orthodox chaplaincy. It was extensively renovated in 2004 with the guidance of Historic Scotland to provide a unique blend of the new and the old in the centre of this historic square. Boasting rave Tripadvisor reviews, it boasts a Georgian façade and a architecturally designed interior - with luxurious furnishings and warm decor. 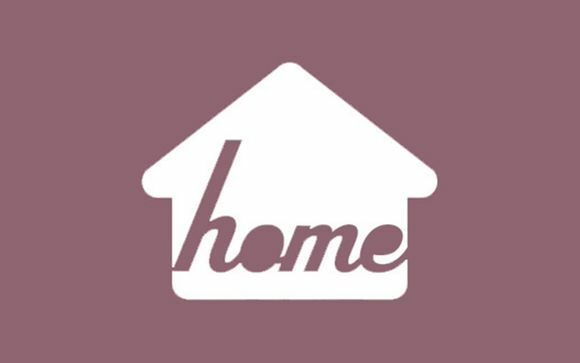 It features:- 3 double bedrooms, 3 swish modern bathrooms, elegant living room, flash kitchen, dining area and garden. Check in times : between 14h and 6:30 p.m.